Croydon’s Local Plan which outlines how the borough will evolve sustainably over the next 20 years, was formally adopted at last night’s full council meeting. The Croydon Local Plan 2018 sets out the exciting vision for Croydon’s growth and development up to 2036, and brings together the Strategic Policies with the Detailed Policies and Proposals. The document, which earlier this year was declared sound for adoption by an independent planning inspector appointed by the Secretary of State, details how the council will ensure Croydon continues to be an attractive and thriving place for residents, the business community and those visiting. Crucially the implementation of the plan will see the provision of 32,890 much-needed new homes, with a minimum requirement of 30 percent of new homes on larger sites to be affordable. The revival of Croydon’s district centres, protection of the borough’s valued green spaces, heritage and cultural assets and the policies that will guide future development in the borough are also detailed in the plan. It also sets out the sites earmarked for redevelopment to facilitate the delivery of new jobs, schools, healthcare, leisure and other facilities needed across the borough; and explains how infrastructure, such as transport hubs will be improved for local communities. “It is fantastic the Croydon Local Plan has been formally adopted. The plan is the most important planning policy document for the borough and details both our ambitions and the strategy needed to meet the needs of our residents and continue the borough’s growth. 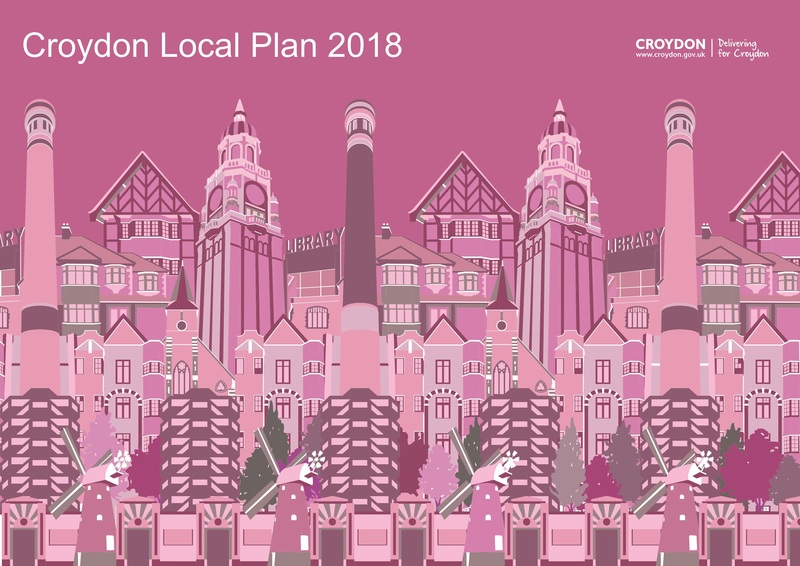 The Croydon Local Plan 2018, comprising the Strategic Policies and the Detailed Policies and Proposals, was adopted on 28 February 2018 by Croydon Council. All planning applications will be considered by the council against the Croydon Local Plan: 2018, as part of the borough’s development plan. When thinking about a new proposal for development in the borough, the overall development plan should be considered. This comprises Croydon Local Plan 2018, the Mayor’s London Plan and the South London Waste Plan. The Croydon Local Plan 2018 brings together the Strategic Policies (including its partial review) and the Detailed Policies and Proposals into one planning document. It supersedes the Croydon Local Plan: Strategic Policies (2013) and replaces the Saved Policies of the Unitary Development Plan (2006). Subject to the Inspectorâ€™s recommended changes and some non-material amendments, the policies and supporting text remain as they were published when they were part of the Croydon Local Plan: Strategic Policies â€“ Partial Review and the Croydon Local Plan: Detailed Policies and Proposals. Full details of how the two documents have been combined into the Croydon Local Plan 2018 and details of all modifications made to it can be found in the full Adoption Statement available to download below. The Inspectorâ€™s Report on the examination of the Croydon Local Plan is also available to download below. •A procedural requirement has not been complied with. If you require further advice on making an application for Judicial Review, you should consult a solicitor or another advisor. The Council is not able to provide advice on this matter. Any application to the High Court under Section 113 of the Planning and Compulsory Purchase Act 2004 must be made by 10th April 2018.